A town in the lowland of Judah (Josh. xv. 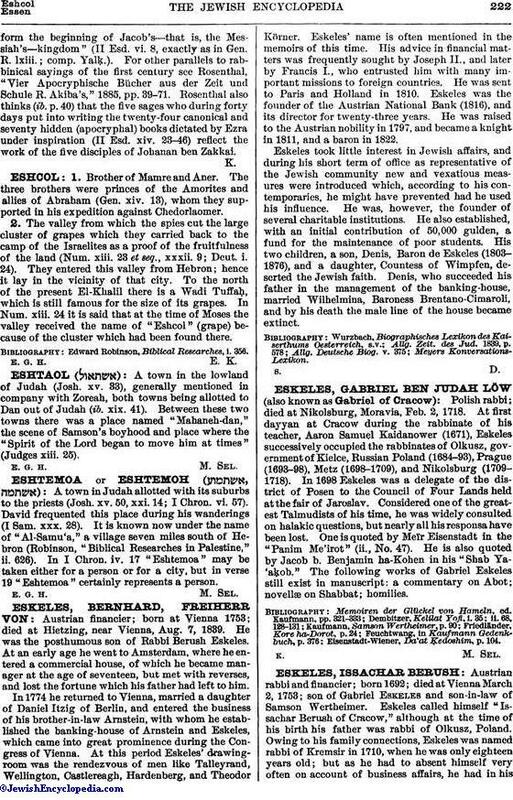 33), generally mentioned in company with Zoreah, both towns being allotted to Dan out of Judah (ib. xix. 41). Between these two towns there was a place named "Mahaneh-dan," the scene of Samson's boyhood and place where the "Spirit of the Lord began to move him at times" (Judges xiii. 25).